Foreign nationals are more likely to remain in detention in Canada for immigration violations as their release rates continue to fall since 2008. 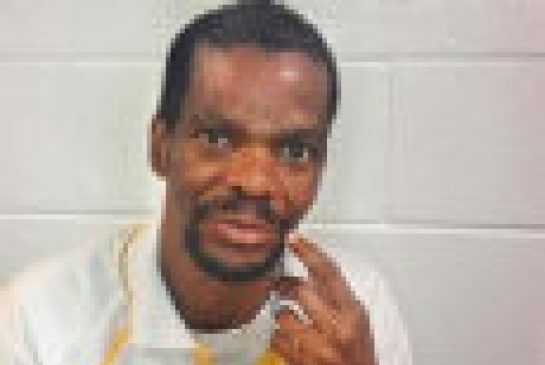 Victor Vinnetou has been in immigration detention for 10 years. The South African man is believed to be the missing apartheid icon, Mbuyisa Makhubu. He has been detained because officials cannot confirm his identity. A groundbreaking study accuses Ottawa of “political interference” in the detention reviews of foreign nationals held for immigration violations, citing the decline of release rates under the Conservative government. Based on government-provided data, the End Immigration Detention Network, an umbrella group advocating for migrants, found that detention adjudicators released 15 per cent of the migrants on immigration hold at their detention reviews in 2013. However, in the Central Region that covers Ontario where most of the migrants are held, the release rate was less than 10 per cent, compared to 27 per cent in Western Region in B.C. and 24 per cent in Eastern Region in Quebec, said the report, released at a news conference Monday morning. By examining the decisions of adjudicators, who are all federal government appointees, researchers also found the same decision makers who sat on the tribunal from 2008 through 2013 appeared to have become less likely to release immigration detainees. In 2013 alone, the report said between 7,373 and 9,932 migrants – often failed refugee claimants, undocumented migrants and people having had their permanent resident status stripped – spent a total of 183,928 days in immigration hold. Detained children ranged from 807 in 2008 to 205 in 2013. There are more than 145 migrants who have been detained for more than six months. Researchers said the consistent decline in the release rate “defies” belief that such a systemic reduction took place without a policy directive or a political decision. “Any policy or decision to systemically reduce release rates would be political interference in the detention review process, throwing the entire detention system’s fairness and integrity into doubt,” wrote the report, authored by Syed Hussan and Macdonald Scott with Toronto’s No One Is Illegal, a member of the End Immigration Detention Network. Individual release rates by adjudicators varied during the studied period. Member Valerie Currie, for example, ruled on 443 detention reviews but only released 21 detainees (5 per cent). Maria-Louise Cote oversaw 303 reviews and released 100 detainees (33 per cent). The End Immigration Detention Network urges Ottawa to end what it calls “indefinite detention” by releasing all migrant detainees who have been held for longer than 90 days. In cases where the detainee cannot be deported within 90 days, it says, the person must be released while waiting for the removal.